Here you can read more about our activities, get in touch with the EYP community and find out about how young people and their schools can get involved in EYP. It is with the utmost pleasure and excitement that we can announce Michael D. Higgins, President of Ireland as our new Patron. 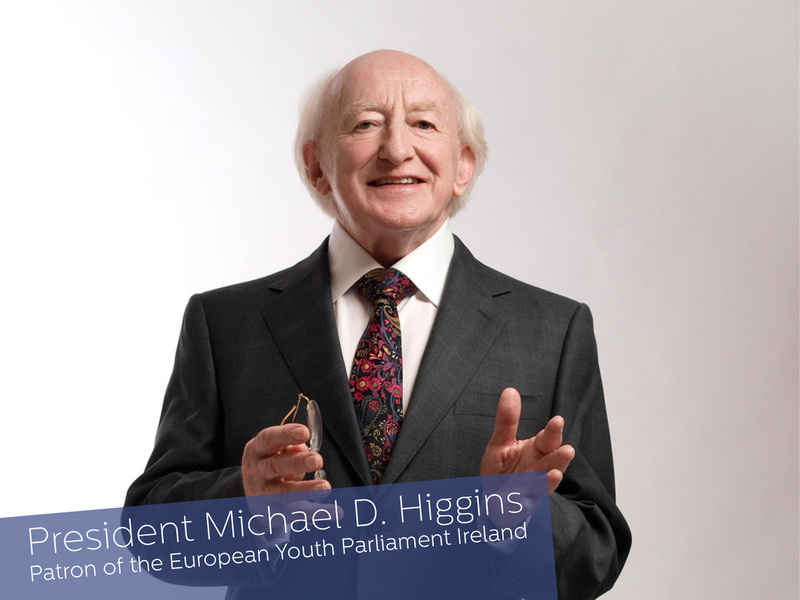 In the past week, EYP Ireland has received word that the President had agreed to become our Patron. We are delighted and honoured that the President sees the value in the work of EYP Ireland and we look forward to his patronage over the coming years. Details of upcoming sessions are available in the Conferences section. All session details for the coming year are currently provisional. Please check back in the near future for exciting updates and confirmation on dates and session venues. Further information about EYP and the work we do can be found in the About section.